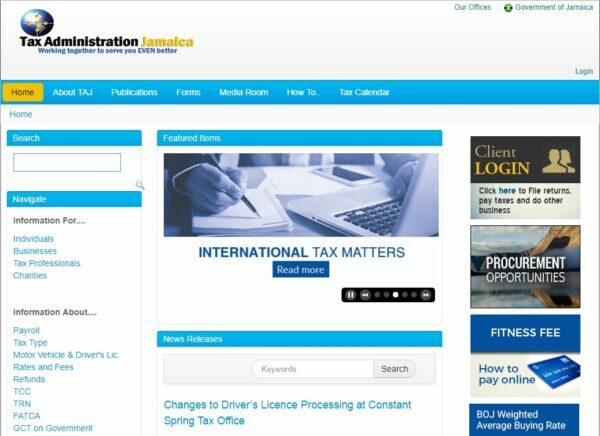 Within the next four months, Tax Administration Jamaica (TAJ) should have a fully operational mobile application (app) that facilitates motor-vehicle registration and fitness fee payments online. The app, designed to run on a mobile device such as a smartphone or tablet, will eliminate the hassle of waiting in long lines for extended periods at TAJ locations. It will allow persons to search for a motor vehicle using the vehicle identification or chassis number; pay registration and fitness fees; view and print payment history; be notified about registration, fitness and insurance expiry dates; and utilise a selected courier service for document delivery. The app is being developed by eGov Jamaica Limited through its Innovation Hub division. The working prototype was presented to members of the TAJ’s team on Tuesday (Nov 20) at the e-Gov Jamaica Limited offices in St. Andrew.